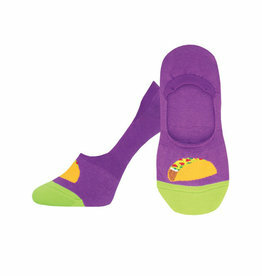 Give your toes something to celebrate any day of the week with our Taco Toesday socks! Golden, delicious shells stuffed with all your favorite ingredients are now featured on our liner socks. Hungry for fun style and compact comfort? Let’s taco-bout it!